Dr. Jagannath is presently Chairman, Department of Surgical Oncology, Lilavati Hospital and Research Centre, and Professor of Gastrointestinal Oncology, Asian Institute of Oncology, S.L. Raheja Hospital, Mumbai from 2002. He graduated from Kurnool Medical College, SV University, India in 1978 with 10 medals. After postgraduate residency in General Surgery at JIPMER (Jawaharlal Institute of Postgraduate Medical Education and Research) he obtained MS (General Surgery) from University of Madras, India in 1982. He was the earliest in India to specialize in the field of Liver tumors – resection and non-resectional therapies – including RF ablation; Gall Bladder cancer Pancreatic resections; Sphincter conservation for rectal cancer. He has carried out maximum number of Whipple’s operations and complex HPB oncologic surgeries in India with low mortality. Dr. Jagannath was instrumental in the growth of HPB surgery in India. He conducted international workshops in the field of HPB surgery in 1996. 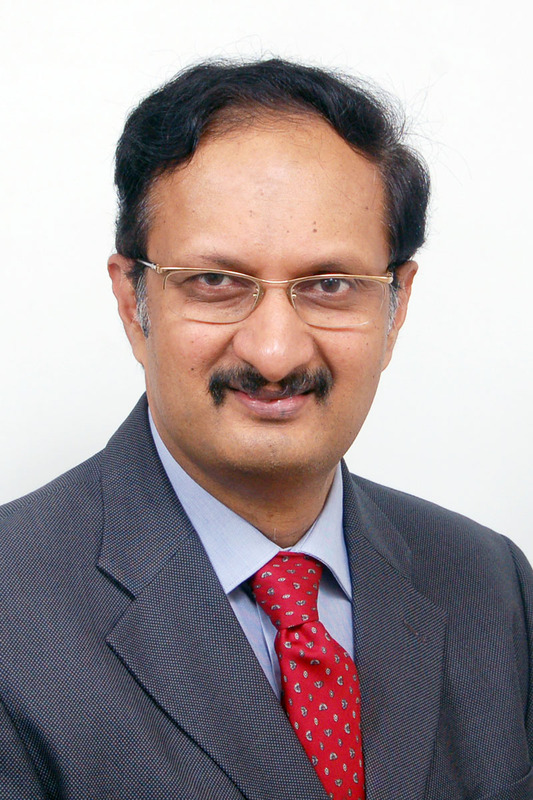 He initiated Indian Chapter of IHPB as its founder Secretary 2001- 2005 and President 2007 – 2009. He took over as President of Asia Pacific HPB in 2011. He has recently been elected as President Elect of IHPBA worldwide, the first Indian to be so honored. He has the largest series of GEP NET in India and initiated the Asia Pacific Neuroendocrine tumor registry. He is on the advisory board of ENETS. He is elected Fellow of National Academy of Medical Sciences (India), Indian Chapter of International College of Surgeons, American College of Surgeons and Royal College of Surgeons England. He is the Principal Editor of the book ‘Hepato-Pancreato-Biliary Surgery: Current Concepts’ (2002). He contributed chapters to Recent Advances in Surgery and 9 other books. He has 75 research publications and 13 video tapes and CDs of his surgical techniques. Dr. P. Jagannath is well known for his community service. In 2000, he started “www.indiacancer.org“ for cancer awareness and public education. The crusade against cancer foundation was launched by Shri Amitabh Bachchan. He further established a Charitable Trust ‘Crusade Against Cancer Foundation’ extending financial assistance to cancer afflicted patients particularly children for the last 10 years with the support of Sachin Tendulkar. I AM MAHESH SHINDE DIGNOSED WITH NEUROENDOCRINE TUMOR AT PANCREAS WITH LIVER METS IN JAN-11 WITH UNCONCIOUSNESS DUE TO HYPOGLYCIMIA. TODAY WITH THE DR.P.JAGANNATH SIRS SURGICAL TREATMENT I AM LIVING WITH STABLE SUGAR LEVELS AND AND PERFORMING MY FAMILY RESPONSIBILITIES OF 9 YEARS AND 4 YEARS KIDS RESPECTIVELY WITH ALL FAMILY.THANKS TO SIR, APART FROM TREATMENT HE MAKE ME MENTALLY POSITIVE TO FIGHT AND WITHOUT HIS SUPPORT I COULD NOT HAVE BEEN EXTENTED MY TREATMENT. THANKS TO GOD. I am Manju Changrani diagonosed with NET with liver mets from FEB 2013. I am under Dr Jagannath’s treatment since then. I have full Faith in the Dr’s treatment.I am recovering slowly but surely. I am blessed with a good Doctor and full family support. I shall bounce back to good health very soon. I met Dr Jagannath on 30th Oct’16 for consulting my father cancer treatment. We had a confident feeling after we met him on the surgery and we have full faith that my father will under go good treatment under him.